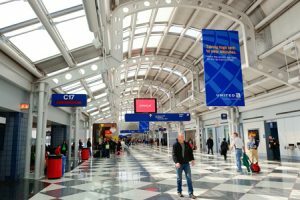 The City of Chicago has shortlisted five teams to design the historic O’Hare 21 Terminal Expansion Project at O’Hare International Airport. The shortlist features a wide range of teams, with international and local expertise, that will vie for a chance to shape the airport’s biggest expansion ever. The shortlisted teams will be invited to participate in a request for proposal (RFP) for lead architectural design services. Through the RFP process, this winter, each team will submit a design model that will be showcased at various locations throughout the city. Transportation, business, and civic leaders from the City of Chicago will make up the official selection committee with additional technical advisories from leading architectural firms, cultural and academic institutions, and local businesses also providing their recommendations. The project calls for an elevated travel experience, better access and amenities for customers, capacity to accommodate today’s fast-growing commercial aviation industry, and the foundation to fuel Chicago’s leading international air connectivity for the future. The centerpiece of this program is the $8.5 billion terminal expansion plan for O’Hare.